Strawberry Shortcake and Orange Blossom love berry pretty clothes. Kids can help Strawberry and Orange pick just the right outfit, then play out the scenes as they imagine them. 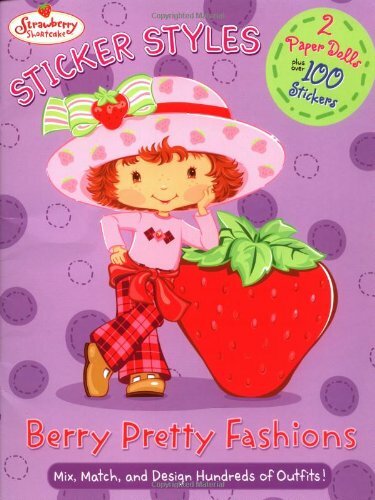 With two adorable perf-out paper dolls, dozens of pretty outfits to cut out, and over 100 reusable stickers, kids can spend hours creating fabulous fashions and fun adventures for Strawberry Shortcake and Orange Blossom.